Are you planning a Kinabatangan River cruise? Read on to learn how to compare Kinabatangan River cruise packages and tour companies and consider whether you’d like to take an independent tour. We share our tips and tricks on finding wildlife on river cruises and reveal other exciting things to do in Kinabatangan River! Our boat flowed through the trees hanging on top of one of the tributaries of Kinabatangan River. Threes grew on the river benches, but they had begun to reach out to the water, and now they made like corridors and portals out of themselves. We glided through them slowly, keeping an eye out for animals. We were on a morning cruise – a part of our Kinabatangan river cruise package – and the jungle was all around us. There were only four of us and our guide who steered our small boat. I knew that somewhere above us, we were observed by the long-tail macaques and proboscis monkeys that call this place home. They certainly knew how to hide from the eyes of the visitors if they wanted to because we could spot only a few among the thick branches of the trees. But wildlife watching is always like this, you don’t have any guarantees. What you need, is a sharp gaze and a bunch of luck, and you can have the time of your life amidst the jungle. Though now it seemed that this was going to happen on another day. And eventually, it did. 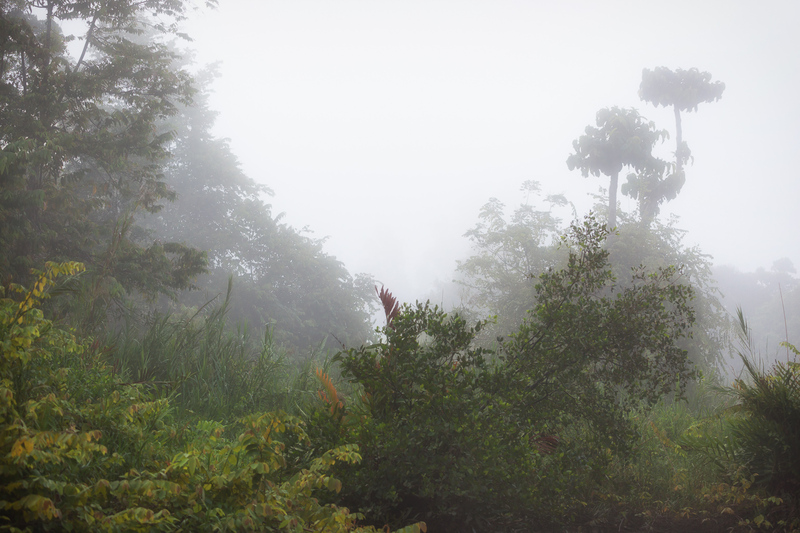 Morning mist at the Kinabatangan River in Borneo. 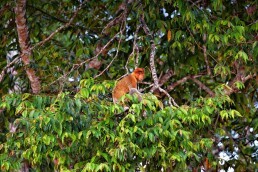 On our second day in Kinabatangan River cruise, we managed to see six orangutans and several herds of proboscis monkeys. We just had tough luck on day one! Lesson learned: always book longer than 1-night/2-day Kinabatangan River cruise package! The second day of our Kinabatangan tour was incredible: we explored two different areas, Abai and Sukau, and cruised down the Kinabatangan River for hours and hours. While having a coffee in between river cruises, our Kinabatangan Riverside Lodge’s guide came to us with urgent news: the pygmy elephants had been spotted down the river a few hours ago, and we should try going after them, even though they were pretty far away. They could also anytime venture back to the forest from the shores of the river, so there were still no guarantees. However, our excitement went through the roof, and we couldn’t believe our good luck! Just a bit earlier we had almost given up on the hope of seeing the famous and endangered Bornean pygmy elephants here in the Kinabatangan River because they are so rare and sometimes nobody sees them in months. Now we just had time to prepare our camera gear before the departure. We noticed how unusual this incident was, as even our guides were extremely excited about the elephant sighting. Soon we sat in the boat which rapidly made headway through the water, trying to catch up with the elephants who were about half an hour’s journey away. On the way we didn’t stop for anything because this was our only chance to meet the Bornean pygmy elephants – we had to try our best. Our guide got constant information updates to his walkie-talkie and after about 45 minute’s journey, our boat curved over a steep river bend. 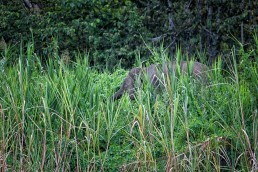 Behind that turn, in the middle of the high vegetation, were several, small elephants feeding on the grass! A small herd of maybe 10-12 Bornean pygmy elephants was calmly eating on the river bank, undisturbed by the boats and humans who watched them in admiration and awe. There were already about four boats beside us, but luckily we were able to get a pretty good spot to observe and photograph the elephants. I felt like a kid in a toy store when I raised my camera, looked through the viewfinder, and started shooting away. It was a very rare treat to see these endangered pygmy elephants in the wild. So, from time to time I just sat back and enjoyed the experience. Photographing these rare and distinctive creatures was not easy – they stayed among the thick vegetation and just suddenly popped out their gray heads, backs, or trunks from the middle of the tall grass. One baby elephant was lying in the waterline, still safely amidst the grass, but every once in a while popped out its head and watched us curiously. I think the elephant observed us just as carefully and interestingly as we watched them. We were incredibly lucky to have this experience to observe the Bornean pygmy elephants here in their natural habitat. It was a rare treat, indeed, and I knew that this was one of those “once in a lifetime” –moments, that will stay with me for the rest of my life. Even though I love photographing things and trying to capture the feeling of the moments I encounter, sometimes I want to put the camera away for a while and just live the moment – absorb the surroundings into myself and feel the life around me. This was one of those moments. As much as I enjoyed photographing, I enjoyed lowering my camera while standing in the boat, and just peacefully watching the elephants. 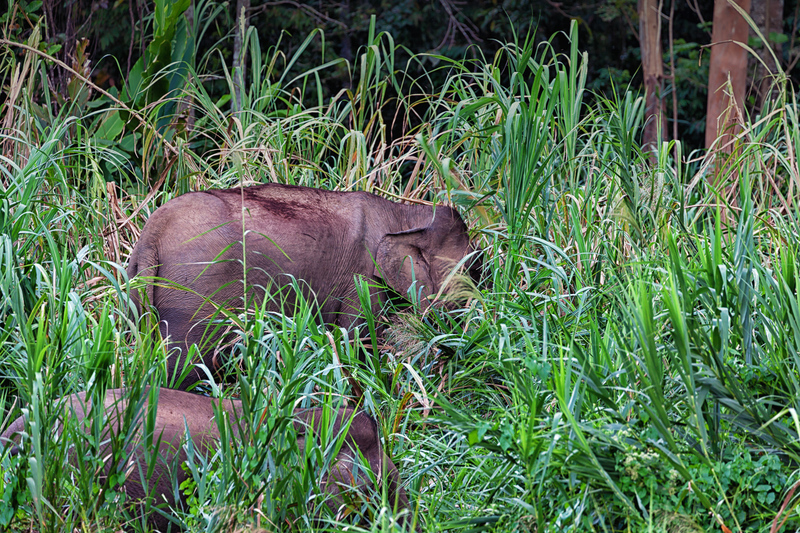 So how you can optimize your chances to meet the Bornean pygmy elephants? If you hear their location, take your gear and jump on the boat, don’t stop on your way to photograph anything else, not even orangutans, just go! Bornean pygmy elephants are so rare to see that take the chance if you have it! Make sure that you book your Kinabatangan River cruise package from a tour operator who is willing to cruise down the river to the pygmy elephants – they are usually far from Sukau area, so it takes both time and money to reach them. 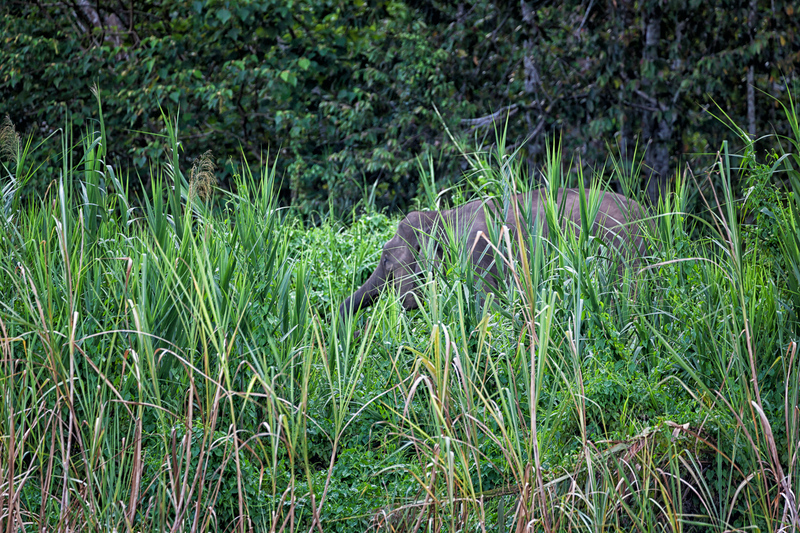 A rare Bornean Pygmy Elephant in the bush at the Kinabatangan River in Malaysian Borneo. The Bornean Pygmy elephants also really were as cute as they were said to be; baby-faced and much smaller in size than, for example, their African counterparts that we had met before. Their tails are so long they sometimes drag on the ground as they walk, relatively large ears, plump bellies, and they are more gentle-natured than other Asian elephants – from which the Bornean Pygmy elephants are also genetically different. DNA evidence has proved these elephants were isolated about 300,000 years ago from their cousins on the mainland Sumatra and Asia. The sad truth is that there are only about 1500-1600 individuals left in the world and the conservation efforts to keep the population alive are vital to the survival of this extraordinary species. One of the primary threats to these elephants is the loss of continuous forests, as it is a grave threat to many other species in Borneo, too. Logging, expanding agriculture, and the palm oil plantations are all reducing contact between the elephant subpopulations, as well as shrinking the forest areas available. I hope that the Bornean Pygmy Elephants’ cause won’t get overshadowed by the more famous species, like the orangutans. I hope their plea will also receive much importance and attention. They are a high conservation priority, yet they still remain the least-understood elephants in the world. 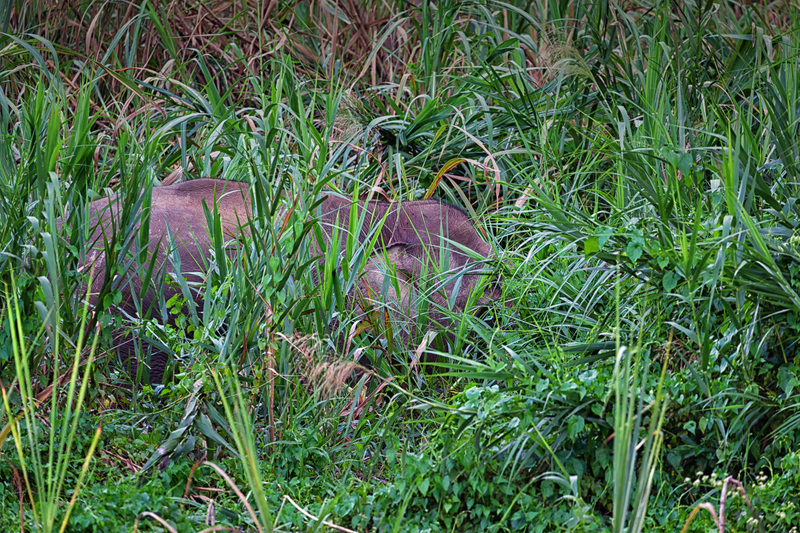 Bornean Pygmy Elephant in the bush at the Kinabatangan River in Malaysian Borneo. Generally, morning cruises offer the best chances to see orangutans in Kinabatangan River. Depending on your lodge, morning cruises depart before or right after sunrise, around 5.30-6AM. We were lucky to see many orangutans during the day, as well. Proboscis monkeys are pretty easy to spot during the day, as well. 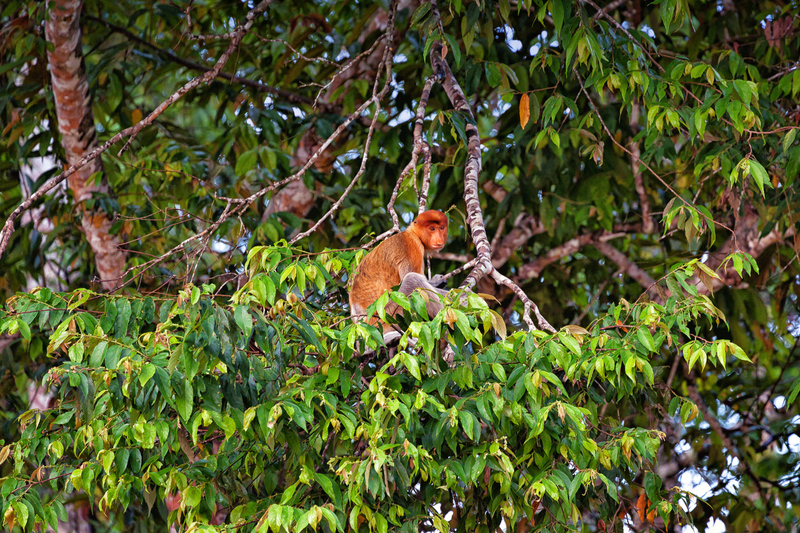 We saw several proboscis monkey populations during our boat trips along the Kinabatangan river. They hang out in the treetops, but you couldn’t see many of them without binoculars. The proboscis monkeys are native to Borneo, and they indeed were one of the most interesting-looking monkeys I’ve ever seen. The good thing is, they are relatively easy to spot, so there’s an excellent chance to see them during a Kinabatangan river tour. As we saw several herds of different sizes, I was also got reasonably good opportunities to photograph them. But without a relatively long zoom lens, you won’t have that many good shots. On many occasions, we parked our boat under the trees and observed the monkeys sitting on the branches. The alpha males always have the most prominent noses. And the bigger the nose, the more respected the male proboscis monkey is and the more popular he is among the females. What Animals You Can See in Kinabatangan River? Orangutans, proboscis monkeys, and pygmy elephants are the species that everyone yearns to see on Kinabatangan River cruise. We saw also kingfishers, eagles, crocodiles, different kinds of snakes, and many birds we don’t recall. We got up and close with macaques and water monitors at our lodge. During night cruises and guided night walks, it’s possible to see civets, slow loris, and owls. 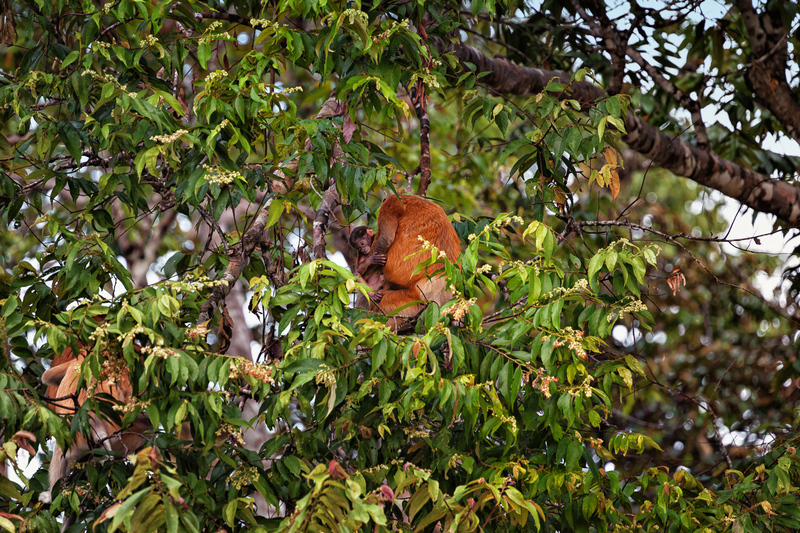 A baby proboscis monkey with its mother at the Kinabatangan River in Malaysian Borneo. 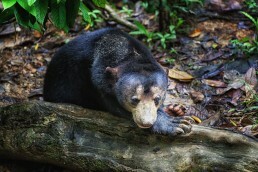 Seeing wildlife in Borneo is not the same thing as spotting wildlife, for example, in Africa. Animals are fewer here and maybe even more sparsely scattered, even though they live in much smaller areas. The environmental conditions are also very different. Bare this in mind, while you are in Kinabatangan River or elsewhere in Borneo and you won’t get disappointed. There still are so much to see, and the Kinabatangan River area is one of the best places for wildlife spotting. So, when you are here, you are in for a treat. 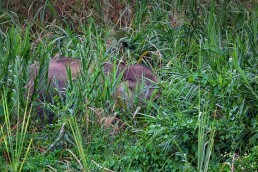 You will see lots of long-tail macaques and other small monkey species, loads of different birds, and even forest pigs. There is always life around you, also though you may not see it all the time. Check out where to find the best orangutan sightings in Borneo – in Kinabatangan River and other orangutan destinations! You can take several boat cruises daily and in between them, hang out on your lodge’s terrace, sip a cold drink, and just watch the river run slowly by only a few meters away. And don’t miss the dashing sunsets when the sky discolors in tens of different shades of red and orange while listening to how the river carries the sounds of the jungle right to you. Planting a tree at the Kinabatangan River in Borneo. A local village at the Kinabatangan River in Malaysian Borneo. 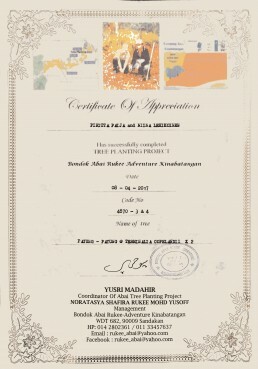 Our Tree Planting Certificate of our participation to the project at the Kinabatangan River in Borneo. Why Should You Go On a Kinabatangan River Cruise? It is true, that the slice of the forest along the shores of the Kinabatangan River is shrinking as we speak, which is a severe problem to the fauna and flora of the whole region. When we saw the situation by ourselves on the spot, it made us very sad. It also made us to really understand the severity of the condition. But all is still not lost, and by visiting the region, supporting the conservation organizations and their continuous work in protecting the forests and its wildlife, you can cast your voice on behalf of the conservation. On the Kinabatangan river, there still is a fantastic world of its own, filled with unique creatures and wonderful experiences. There still is tranquility and some pure magic in sitting in a small boat in the middle of the river and trying to spot different animals among the trees and dense vegetation. 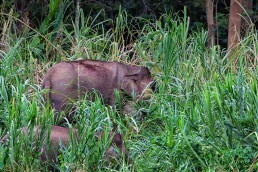 And if you’re as lucky as we were, you can still even see the endangered Bornean pygmy elephants! And after you’ve experienced all this by yourself, I could almost guarantee that you too will agree that this region with all its flora, fauna, and diversity, is worth conserving for the generations to come. Check also our ultimate Borneo itinerary, to get some great ideas for your trip! 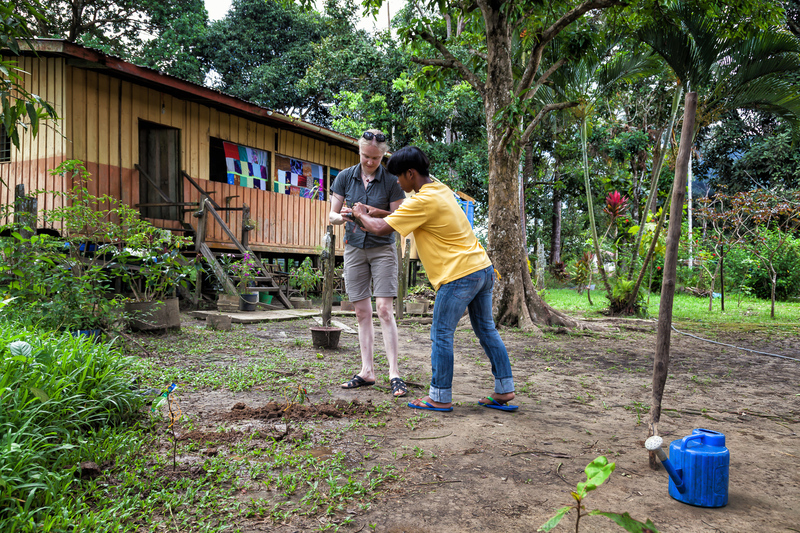 During our Kinabatangan River cruise, we also participated in the Abai Tree Planting Project, the Pelacongan Bondok Abai Rukee. 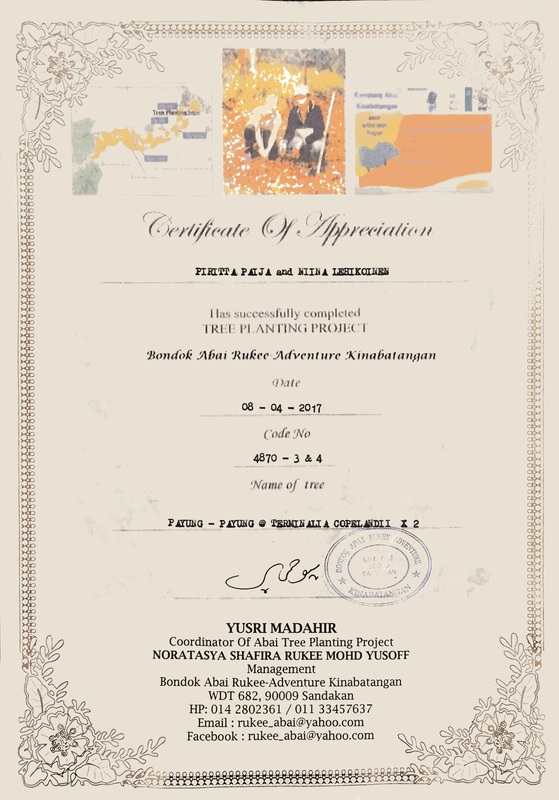 We both made a donation to the cause and planted a tree to the shore of the river. Acts like these are small, but when significant numbers of people do them, they will matter in the long run. You can also add Gomantong Caves to your Kinabatangan tour. It’s the largest cave system in Sabah area, consisting of 9 caves. The biggest caves are called Simud Putih (White Cave) and Simud Hitam (Black Cave). Gomantong Caves are located in Kinabatangan district, a short drive away from Sukau area. 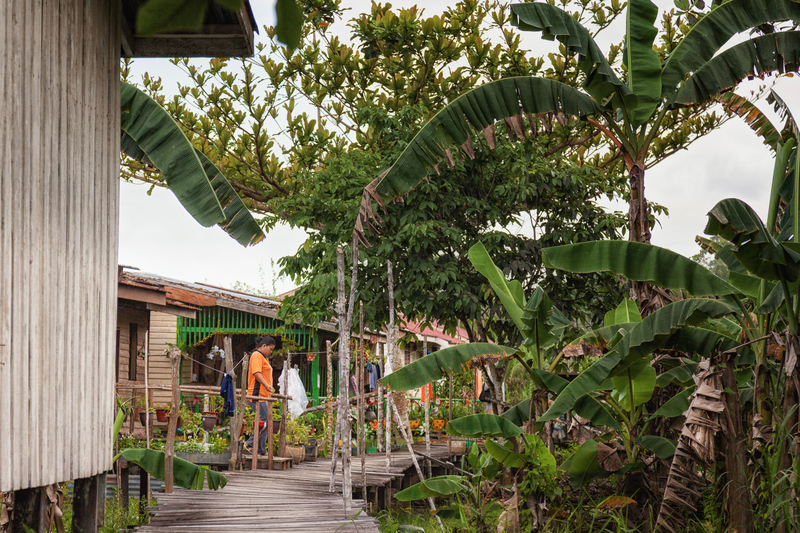 Many lodges have boardwalk hikes in the surrounding rainforest, which allows you to take independent jungle walks. Spotting birds and trying to find orangutans on our own was among our favorite things to do in Kinabatangan! It’s certainly possible to arrange an independent tour in Kinabatangan River if you’re looking for a cheaper backpacking experience. 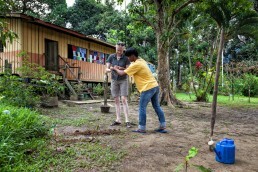 Good news: there are decent budget lodges right at the banks of Kinabatangan. The downside: you’d need to organize road transfer to Sukau area if you don’t have a rental car, as there’s no public transport. Also, road transfer takes away the fun of spotting wildlife during the boat transit. 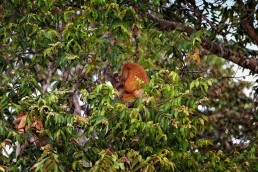 We saw several orangutans on boat trip from Abai to Sukau area when we changed lodges. 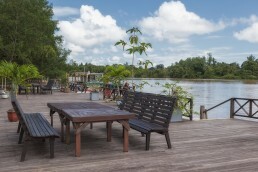 If you’re visiting Kinabatangan River independently, book your accommodation in Sukau or Bilit area. 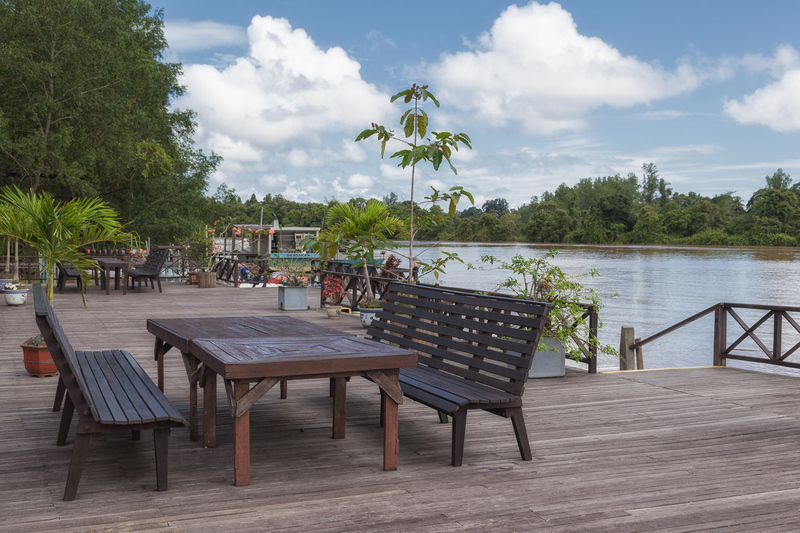 Cheap guesthouses in Kinabatangan don’t have air-con – and it’s unbearably hot there. Usually, meals and river cruises are charged separately, so it makes sense to calculate total expenses in advance so that you can compare the price of independent Kinabatangan trip with the tour packages. 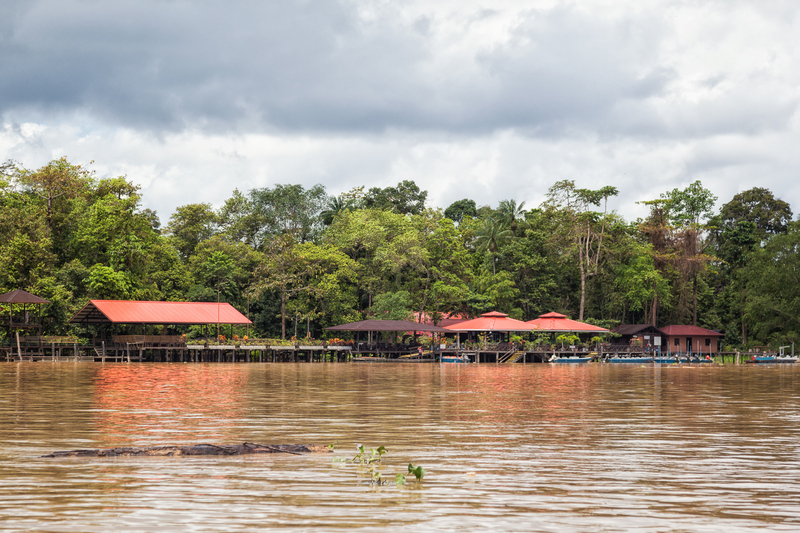 Most upscale lodges in Kinabatangan River are owned by tour companies, so if backpacking is not your preferred mode of travel, we highly recommend booking a guided Kinabatangan tour package, which includes all boat transfers, wildlife watching boat tours, accommodation, and meals. There are many affordable options available. 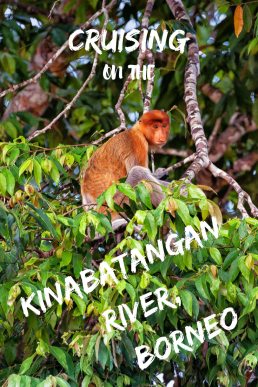 If you want to maximize your chances of seeing orangutans and proboscis monkeys on Kinabatangan River, book at least 2-night/3-day Kinabatangan River tour package. Notice that we recommend spending those 3 days solely on Kinabatangan River. 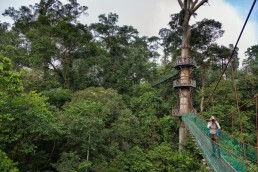 Many tour packages include visits to Sepilok’s Orangutan Rehabilitation Center and Bornean Sun Bear Conservation Center, which is great, but those visits deserve a day of their own. Compare the content of tours, not only prices. Check that when you compare tour operators, their tours are similar. 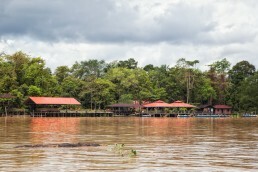 For example, compared tours should have as many nights on Kinabatangan River (lodges in Sepilok or Sandakan are much cheaper than lodges by the banks of Kinabatangan). Ask many questions and check if the tour companies answer them. For example, if you’d like to see the rare pygmy elephants, ask whether the tour company is willing to ride towards the sighting if it’s further away from the lodge. Know what you’re getting: check if the lodge (and your room type) has air-con (it’s hot and humid), are all meals included, how many wildlife river cruises are included, does the lodge have hiking trails or does the package include rainforest hike, etc. Check the area. Most lodges are located in crowded Sukau area, which doesn’t feel like real wilderness. Wildlife watching is great nearby Sukau, but if you’d like to see more pristine areas, we recommend staying one night in Abai or other location further away from the bustle of Sukau village. There are roads in Sukau, whereas as Abai is only accessed by riverboats. If you'd like to get a full itinerary for perfect two weeks in the Malaysian Borneo, we have it for you in here!